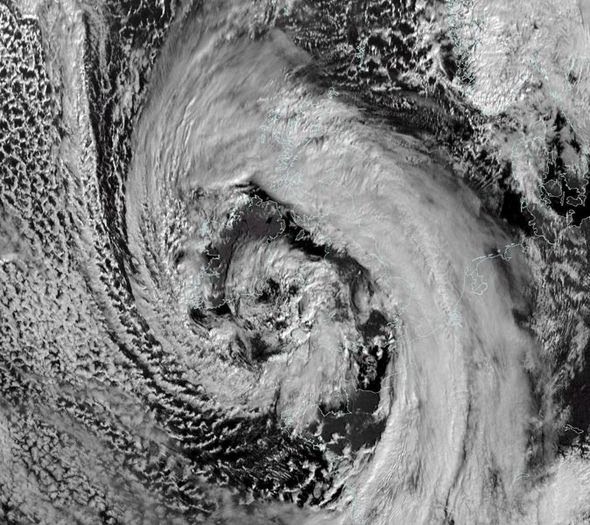 This is another of a series of massive storms hitting coastal Great Britain and greater Europe. "The intense and very dangerous hurricane force low in the eastern Atlantic has intensified to 942 hPa, and it is close to peak intensity as shown by the 18Z OPC Atlantic surface analysis. OSCAT data from 1433 UTC today shows winds up to 75 kt south of the low center." ~ NOAA NWS Ocean Prediction Center. Jonathan Powell, forecaster for Vantage Weather Services, warned Britain is braced for a repeat of the devastating October St Jude’s Day Storm. He warned savage winds will be strong enough to tear down trees, damage buildings and whip up colossal 30-foot waves. He said: “This is a real monster heading towards the UK on Friday, it is bigger than anything we have seen this year. “Gusts will easily tip 100mph in exposed regions and along the coasts with 70mph possible inland and widespread around the UK. The warning comes as Britain battles a week of wind and rain which is heaping misery in the south of the country. Parts of Somerset have been left knee-deep in floodwater with some communities cut off after weeks of relentless downpours. The Met Office has severe weather warnings for heavy rain in the region for the next four days as emergency services battle to contain the crisis. Horrific storm-force gales of up to 100mph will lash the coasts while devastating gusts of 70mph are expected inland. Up to two inches of rain will pound flood-hit regions in a matter of hours on Friday night before yet another storm smashes into Britain on Saturday. Storm Charlie’s hurricane-force gusts of more than 100mph were due to sweep in from the Atlantic on Friday night. 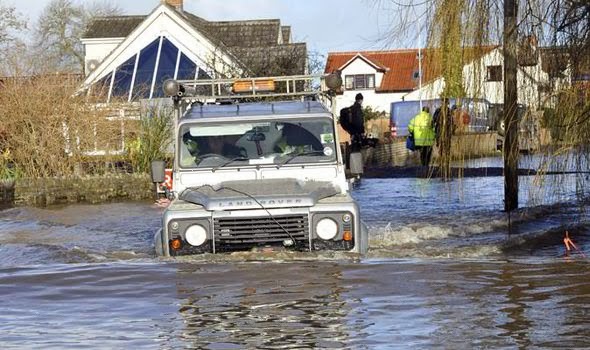 Forecasters have warned the downpours will lash swathes of the South, already crippled by devastating floods. The Environment Agency has issued two severe flood warnings for the next few days indicating a “danger to life” particularly across Somerset. There are also 160 flood warnings and 300 flood alerts across the UK as river levels surge and rain falls on saturated ground.